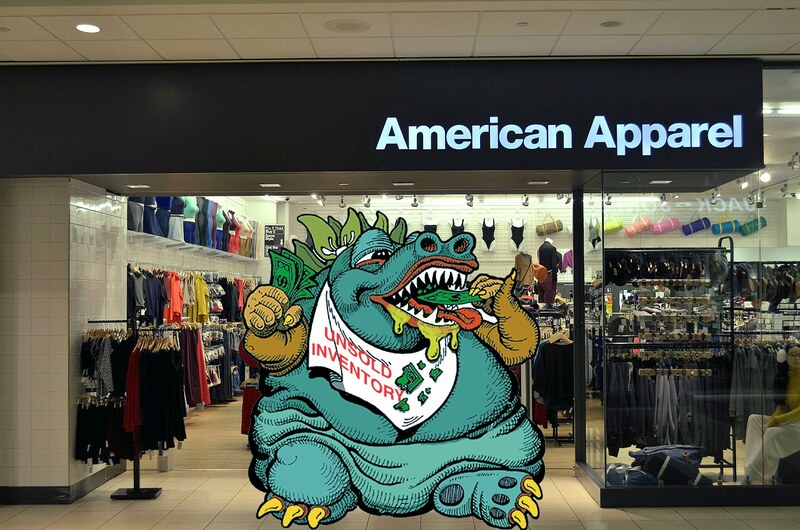 There are hundreds of excuses for why the U.S. has fallen so far behind in the manufacturing of apparel. 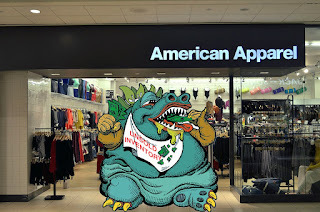 Regulations like the ‘Clean Air and Clean Water Acts” in the 1970’S and the Demand Manufacturing Apparel Architecture project of the 1990’s that spent over $220 million taxpayer dollars to enhance production control which ultimately facilitated the movement of over 90% of apparel production off shore. Make no mistake, whatever the theory or well-meaning government program we have fallen behind and are not catching up. Excuses range from conspiracy theories about international corporations, money in politics, media bias, international trade agreements and many more. Most manufacturers, brands and retailers site labor costs as the primary cause of the loss of manufacturing. No matter what theory is the current viral thinking, we need to step back and look at the forest instead of our favorite tree. In this case the industries favorite “tree” is cost of goods (COG) while the “forest” is loss of potential profits from discounted and unsold goods. Fundamentally, we are all dealing with the transition from the mechanical systems of the industrial revolution to an information based digital age. Sometimes these historical macro-evolutions are obscured by scale or the camouflaging details of daily business. One of the most stubborn and widely damaging effects of this evolution is the continued dedication of major world economies to the out dated dependence on mass production. This protection of the status quo has caused increasing failures at the brand and manufacturers level and now increased more public failures at retail where profit losses and additional costs can no longer be covered buy creating volume through discounts and clearance. Big finance and big companies, whose very life depends on maintaining the structure of mass production, have dominated this transition with its many ups and downs. They have invested tremendous amounts of capital, personnel, and international agreements into the perpetuation of this outdated manufacturing system. The basic premise of this system is that if you manufacture a lot of something efficiently, the cost savings from economy of scale will insure you make a profit. This concept was valid when markets were all in an expansion mode during the industrial revolution and later after the world wars, because no matter how much product you made you could always find a customer looking for it. Mass distribution and the increased reach of international marketing, have made it difficult to find large enough new markets to justify the scale of mass production required to support the level of efficiency required to insure a profit. In fact the argument that new technology produces new expansion markets has lost its credibility because of the ability to reach markets with competitive product at velocities never before possible. In fact every new product introduction becomes a share market almost immediately. 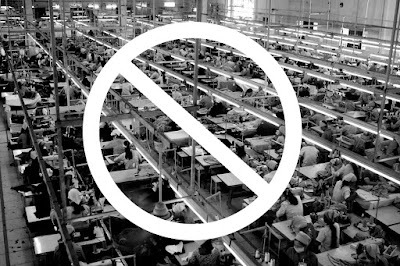 The inability to dominate the market with the new products that are produced with the flawed mass manufacturing concepts that, scale produces cost efficiency, which produces profit, has created a glut of inventory in most product categories and destroyed the concept of supply and demand in its traditional form. The current economic Maxim is no longer “supply and demand”, it’s “supply and discount”. Product differentiation is too slow under this mass paradigm to keep up with the information age. The risk of mass production inventory has not been mitigated at all by new “time-to-market” digital technology, in fact is has exacerbated the losses by encouraging more pre-production costs and inventory sku’s. We've now have replaced the uniqueness of the product with simply the price of the product. This change in marketing and merchandising is designed to capitalize on the only remaining positive this manufacturing strategy offers. Large brands can flood the market with a volume of product, using discount structures to drown their competition. The scale of mass manufacturing and its requirement to drive profit through cost makes this product difference (price) really only available to mass retailers and marketers who merchandise on the basis of product movement not on the basis of product difference. This large-scale approach creates huge amounts of inventory which in turn equal huge amounts of risk. Risk that can only be minimized by volume merchandising, high-level financing, bulk shipping and international trade agreements which capitalize on low labor costs in developing countries. Collateral costs like environmental protection, worker safety, health insurance and other benefits can destroy the profits in a cost-based system. All the flag-waving, job building and “Buy American” speeches, promotions and promises cannot change this basic strategy of profit based on cost structure. Since these large companies and their financial partners depend on mass manufacturing and self-perpetuating theories of profit-based primarily on driving costs down we cannot expect a change. In fact, we can expect massive failures of iconic brands and retailers as the cost/risk dynamics collapse the current sourcing structure for many players and eventually all but a few high volume discount “box” stores and omnibus online marketers. Attacking cost with mass production has four logical outcomes: first, massive inventories without guaranteed sales that must be discounted. Second, securing the lowest labor cost, which usually means bad working conditions. Third, lowest cost manufacturing technology, which means highest water use and toxic pollution and collateral permanent environment damage and finally, fourth, eventual degradation of quality. All of these negative outcomes are the impact of one feature of the current sourcing strategy the pseudo belief that large inventories cost less and are the foundation of profits and sustainability. Often, the object or goal of the previous structure turns out to be at the center of the actions required to affect the change. Since the ultimate goal of mass manufacturing is to create an environment with the lowest possible costs of production. Therefore, reducing the unit cost of the available inventory that is offered for sale. The byproduct of this drive for efficiency and lower costs is an increase in the size of the inventory related to cost not sales. This disconnect between the payout of funds for production and incoming funds resulting from sales creates the risk that is unsustainable. The simplest solutions to this conundrum are either, make less and charge more or make more and sell more for less. In fact this decision about whether to position the selling proposition based on quality or quantity is at the center of the basic inventory decisions, which, drive the manufacturing scheme. The way in which a company handles inventory risk is the driving decision-maker in every choice from their accounting system to their personnel structure. Inventory drives required capital for start up; inventory drives financing and the level of risk; inventory drives product selection and inventory on hand drives advertising and marketing. When a company decides between holding a limited exclusive inventory at high price or a massive fast moving discounted inventory they place themselves at either end of a decision-making spectrum. Once that decision about inventory management size has been made the rest of the decisions about organization and marketing traditionally have been cast in stone. Companies have had success at either end of this simple linear solution, there is however, a third nonlinear answer, which can provide increased profit and jobs and relief from the risk of both of these positions. That solution is simply not to make it until after it has sold! This manufacturing concept is called Purchase Activated Manufacturing (PAM) and it is characterized by a structure in which, the product is purchased before it is manufactured. This solution attacks discount and overproduction dumping losses while limiting cost to product sold. The industry should continue to look for efficiency in manufacturing, but until we attack the loss side of the equation we will not enjoy sustainable domestic manufacturing. The pursuit of demand then supply has been a goal of the forward thinkers in the business for years, but the business climate and the technology have not been in place to accomplish that goal. Both are in place now, sales, merchandising, coloring, cutting, production and fulfillment technology has been tested and integrated making wholesale demand and even consumer purchase activated inventory goals a reality. Smaller and larger retailers, brands and manufactures who are willing test and embrace this strategy, will be the survivors as market shifts from the industrial age to the information age of integrated business models and efficiency through agility. Cost of goods is a product of actual purchases not inventory stocking. Over the last twenty years our team has succeeded, failed, invented and learned most of the elements required to implement this evolution to purchase based manufacturing based on integration, information and virtual unlimited inventory. Although the final structure of the process needs to be tuned for each company’s specific needs there are ten principles that serve as a road map for the decisions along the way. These principles can be interpreted in different ways but they all must be included in some form to ensure success. 1. Follow the Money… All funds ultimately originate from the consumer making consumer demand the fundamental element of success and the first element of building an integrated system. Tracking these funds on the path to your bank account determines the real losses available to recover from inventory bloat at every level. 2. Efficiency = Manufacturing Agility… Manufacturing agility must match variable demand in speed and scale. Creating a demand Days-of-Supply (DOS) baseline to maintain predictable scheduling while insuring demand response times. 3. All Marketing Starts with the Individual… Micro Merchandising integrates production throughput with consumer value. Integrating information, merchandising and manufacturing technology to produce consumer value that matches or exceeds full retail price. 4. 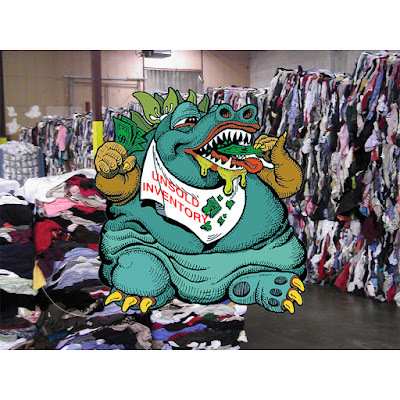 Inventory = Turns not Volume… Since the inventory is virtual stocking decisions are based on velocity not space, storage cost or salvage value. 5. Consumer/Buyer Participation Determines Product Value… Direct integration with the consumer/buyer sales offer creates value through participation in product selection and individualization. Consumers have individualized product and buyers can create/test exclusive apparel without inventory risk. 6. Manufacturing Capacity is Set by Distribution Path… Manufacturing scale and path is a function of distribution lead time and customer type (wholesale, retail or direct consumer) can determine through-put and line structure. 7. Income is Based on Cost per Unit Sold NOT Cost per Unit… Percentage of sell-through to the consumer is the key determinant of success at every level. Never over stock, Never out of stock is the rule at every level. 8. “Unit Manufacturing” requires seller and supplier integration… Real time vertical integration of retail sales, manufacturing and fulfillment is critical. 9. Test Markets are Multi-Platform… Test markets must include platform choices and product variations. Testmarket results can be based on actual purchases and collect kenetic, demographic and decision data. 10. Total Quality Manufacturing Depends on Team Building… Production errors must be reduced to near zero through integrated data paths, team design and total quality management. Team design and language independent quality control is critical.